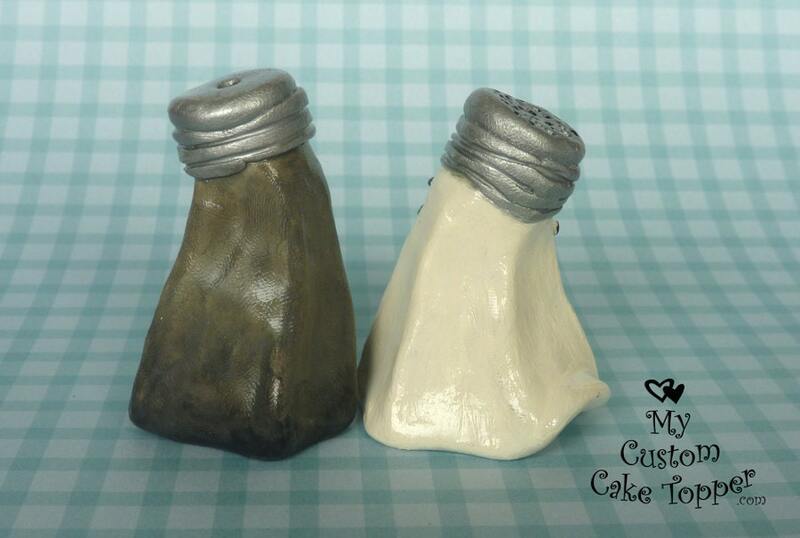 Salt and Pepper Shaker Wedding Cake Topper! 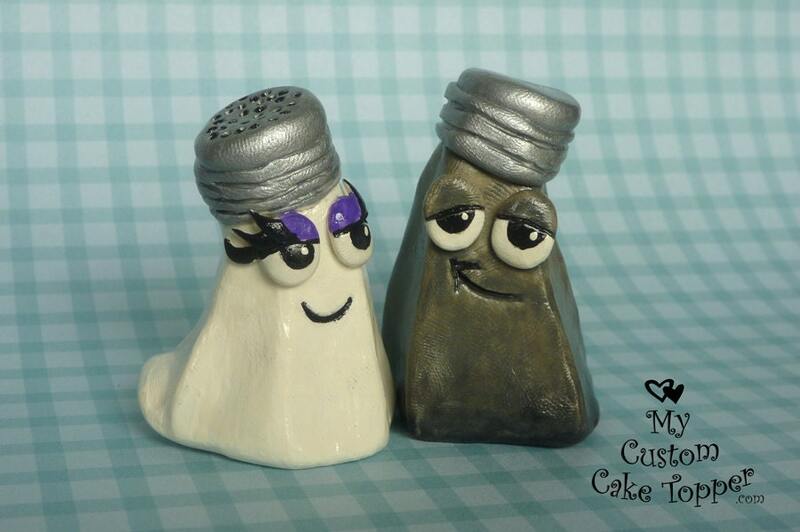 Quirky, fun and characterized! Perfect for the non traditional wedding! 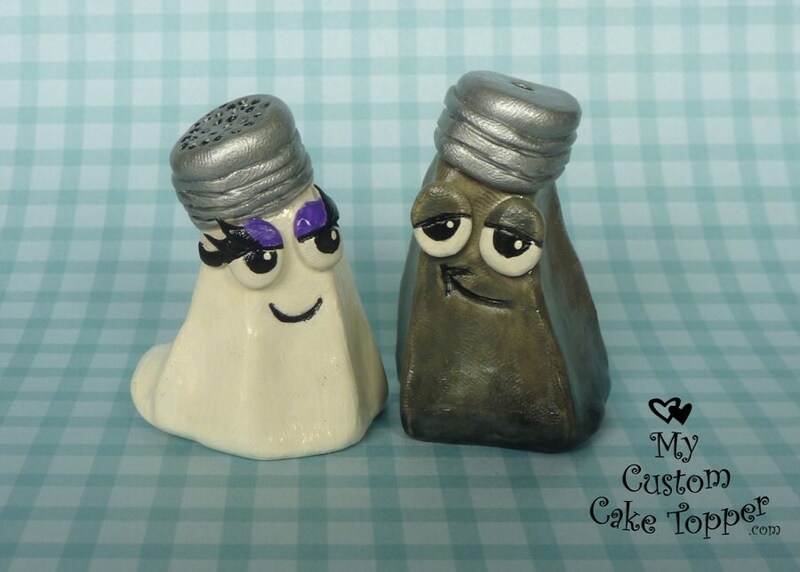 These toppers are handmade from polymer clay, no molds are used, they are non-toxic and can last a lifetime with proper care, a perfect keepsake from your special day. 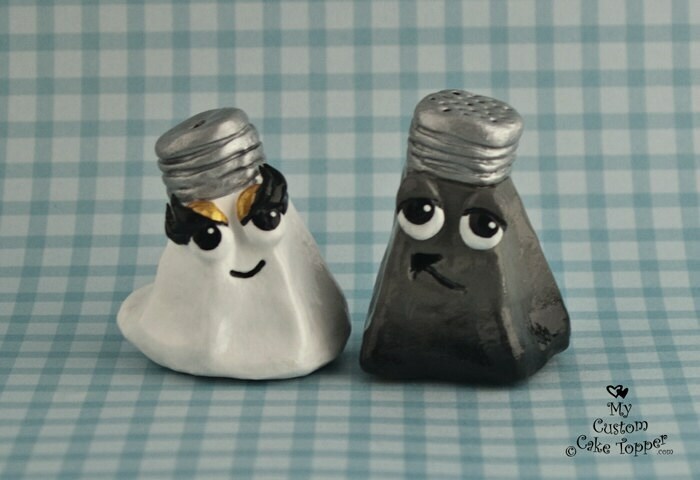 Each shaker is 2" wide by 3" tall. 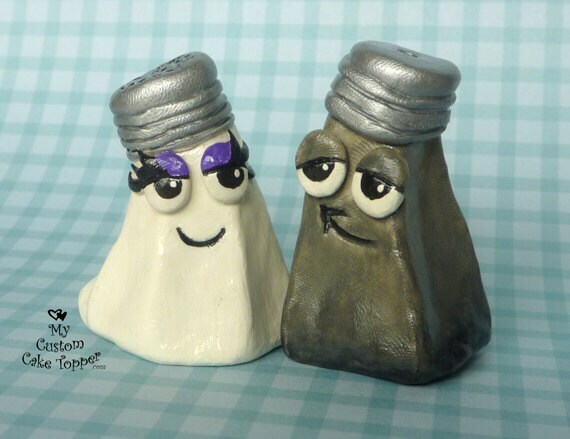 ♥ Color of eye shadow, if nothing is specified the default color shown in the photo will be used.